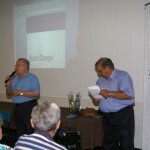 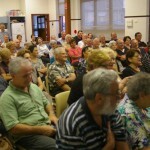 The Maltese Welfare NSW Inc, held an information night, about Changes to Centrelink, Tax, Pension and Age Care. 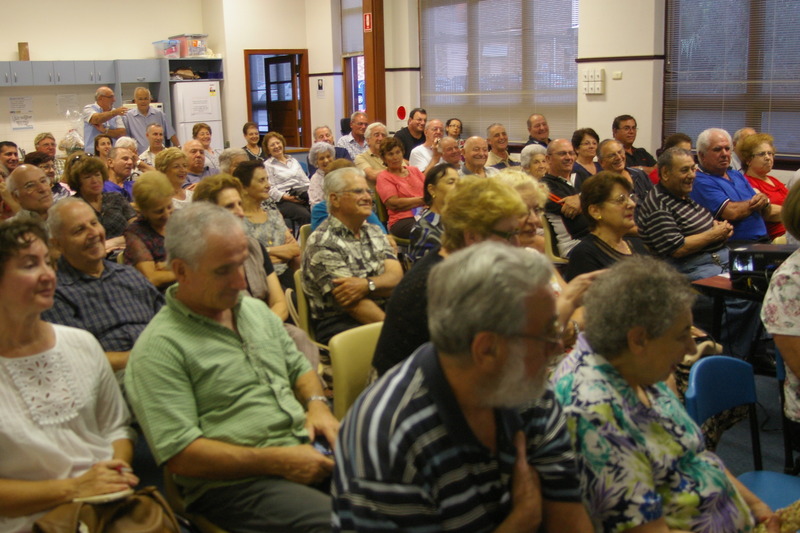 on Wednesday 26th November 2014 at 7.30pm at Our Lady Queen of Peace church, San Gorge Preca Hall, Prospect Rd, Greystanes. 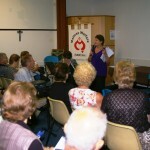 A big number of community members found this topic of great importance. 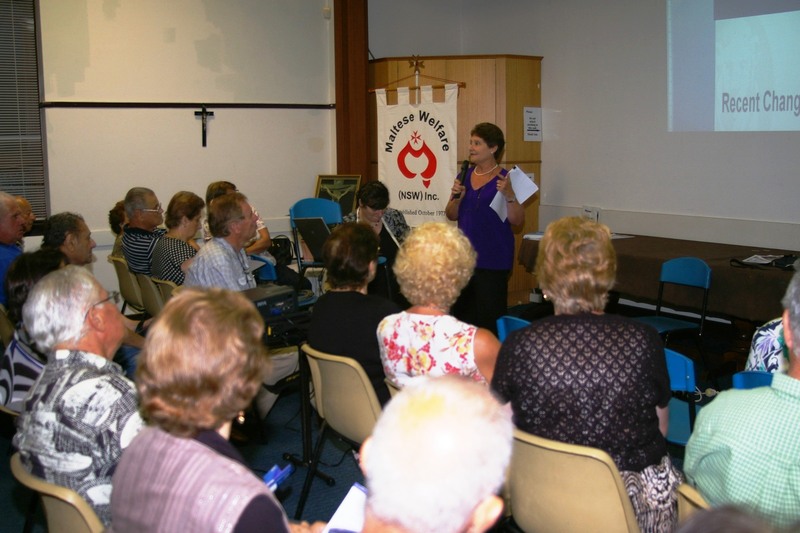 It was good to see the hall packed with people eager to hear Mrs.Marie-Louise Muscat , Certified Financial Planner,advising about Changes to Centrelink, Tax, Pension and Age Care. 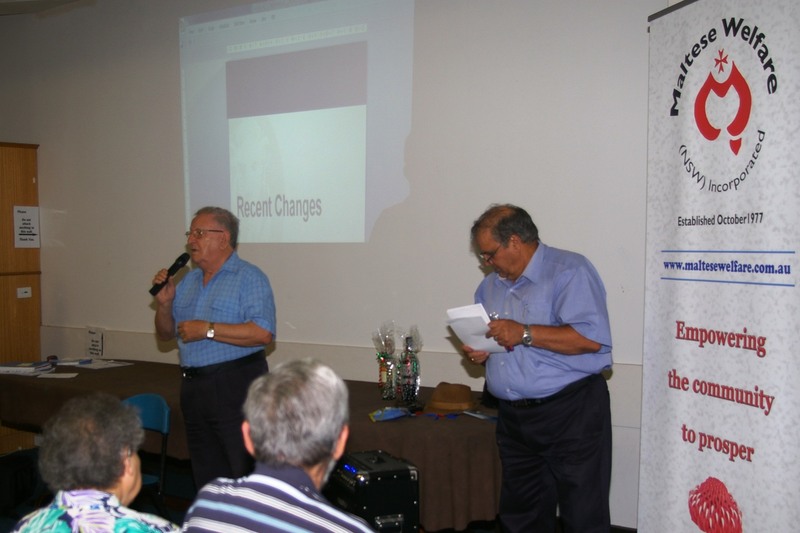 Mr.Lawrence Dimech addressing the assembly. 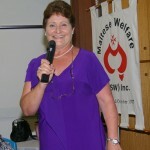 Mrs.Marie-Louise Muscat. 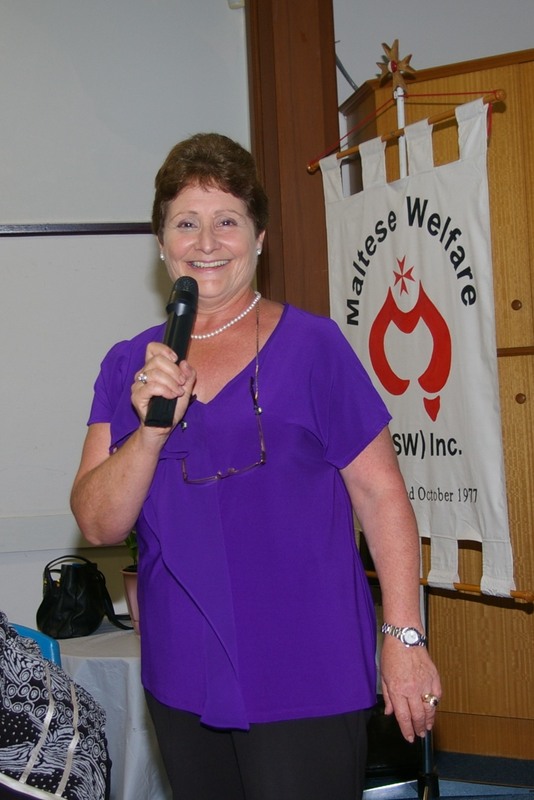 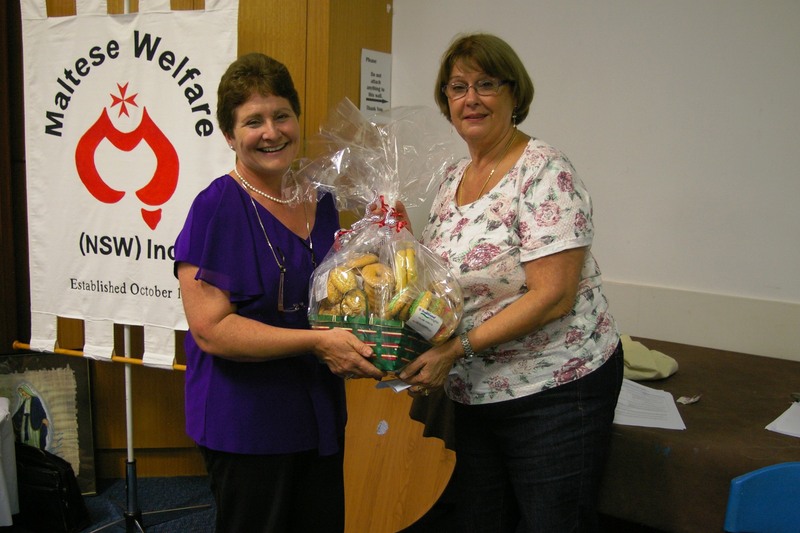 Mrs. Nathalie Gatt Vice President of the Maltese Welfare NSW. 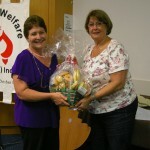 Presenting a basket of goodies to Mrs. Marie-Louise Muscat.